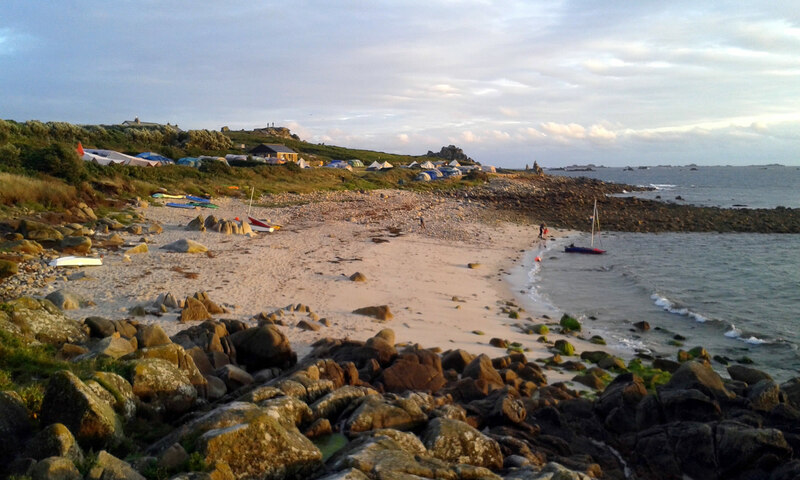 Wake up to the sound of the sea, spend your day relaxing on the white sand of the campsites own beach, then after dining alfresco, watch the sunset from your tent and count shooting stars in the crystal clear night sky. 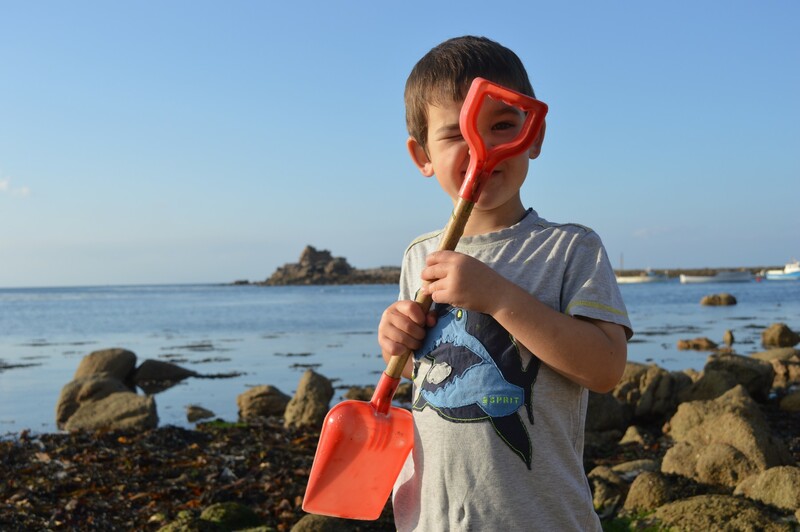 At peak times the campsite is the perfect family site, visited by the same families year after year, for the fabulous views, sandy beach and the safe, traffic-free, natural environment. 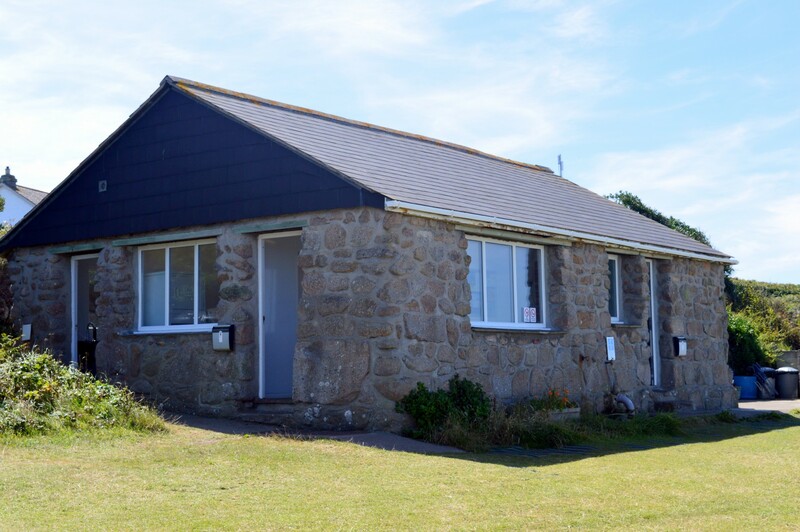 Outside of the school summer holidays, the campsite is the perfect retreat, with peace and quiet and beautiful scenery in abundance. 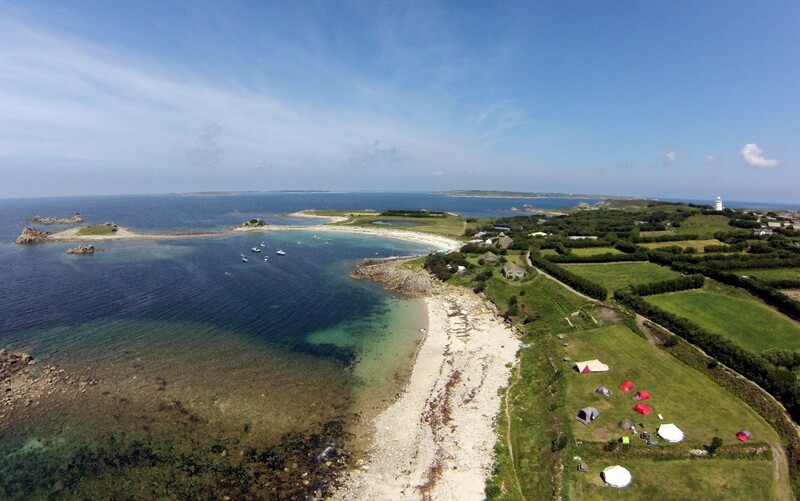 The campsite is full between 23rd July and 28th August, 25th to 30th May and 2nd to 5th May (gig champs). We do have some dates available in August due to a cancellation. Please see the availability calendar for details. 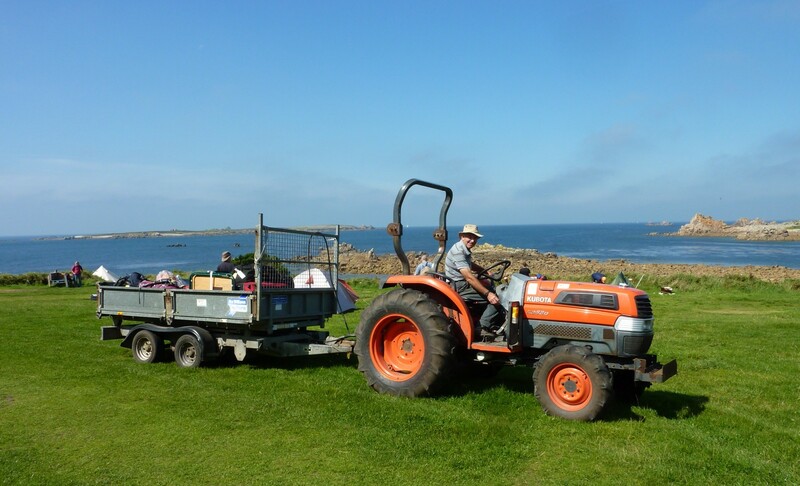 We have pitches available in June, early July and September. We will post any cancellations or late availability here and on our facebook page. Looking for an easy option? 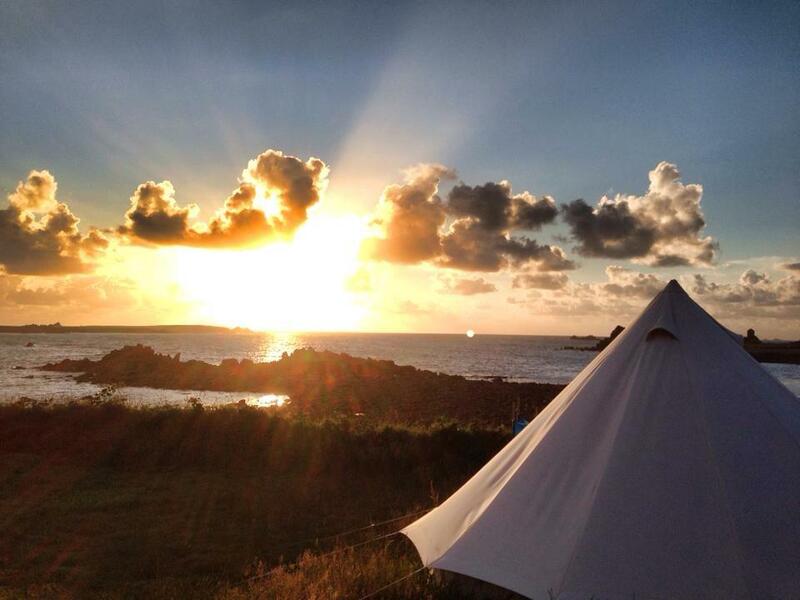 Try carefree camping in a rented bell tent. 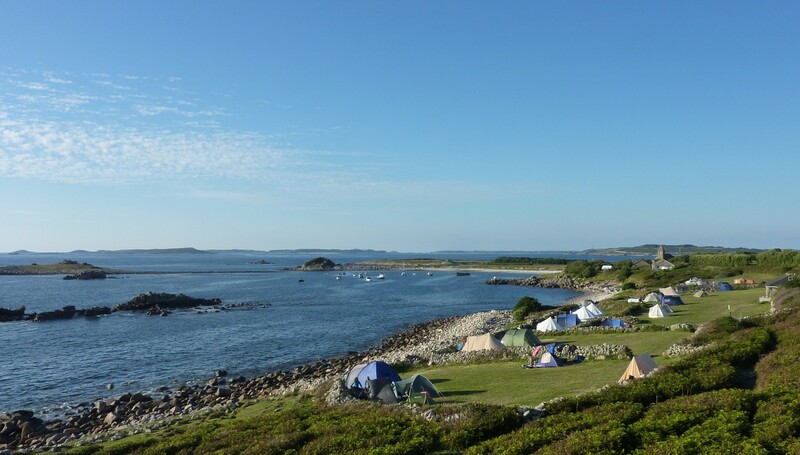 Check current vacancies and rates for the campsite here. 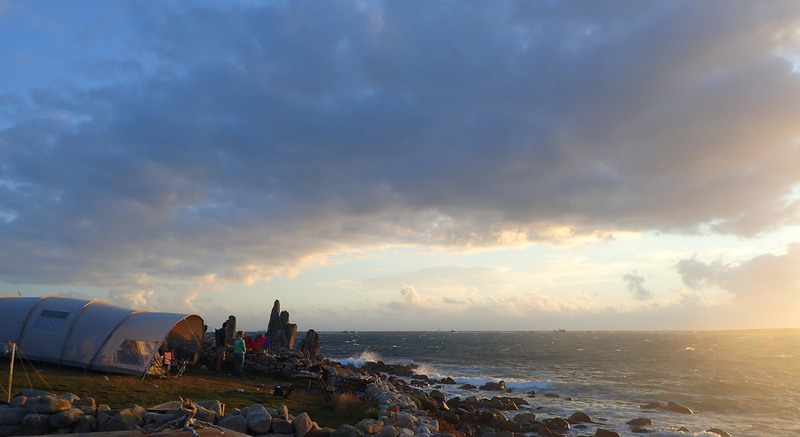 Getting here with camping gear is easier than you might think. 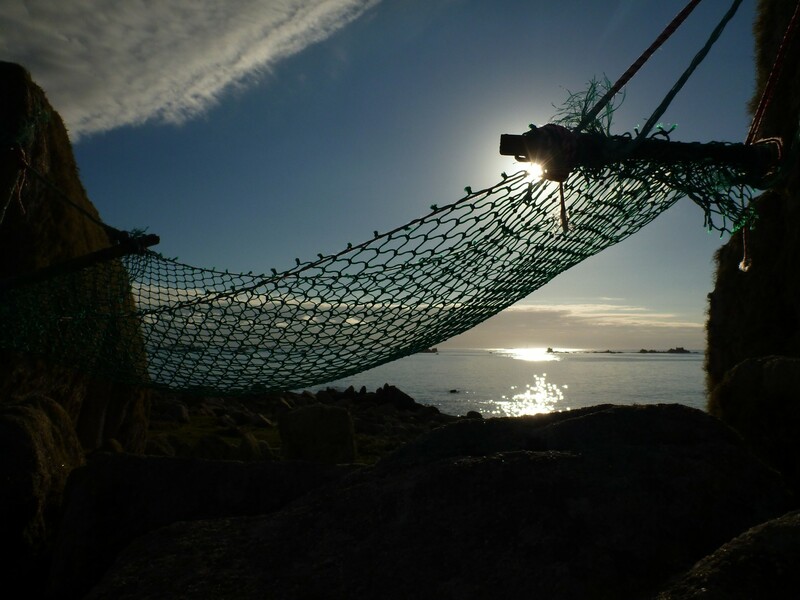 St Agnes and the adjoining island of Gugh are beautiful and unspoilt, designated as an Area of Outstanding Natural Beauty. 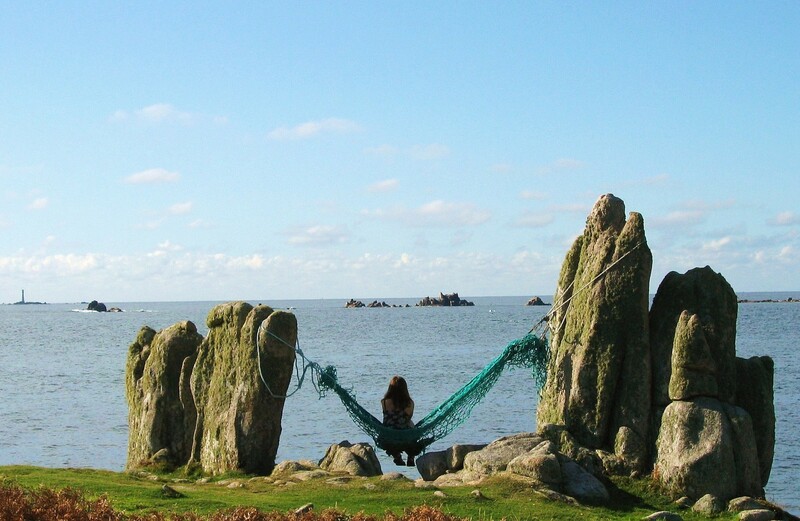 The island of St Agnes is only one mile across so the many carns and coves can be explored on foot. A great pub, cafe and shop are only a short walk away. During the sumer months it is essential to book in advance, please check first for availability. Outside of peak times, you are welcome to arrive at short notice. 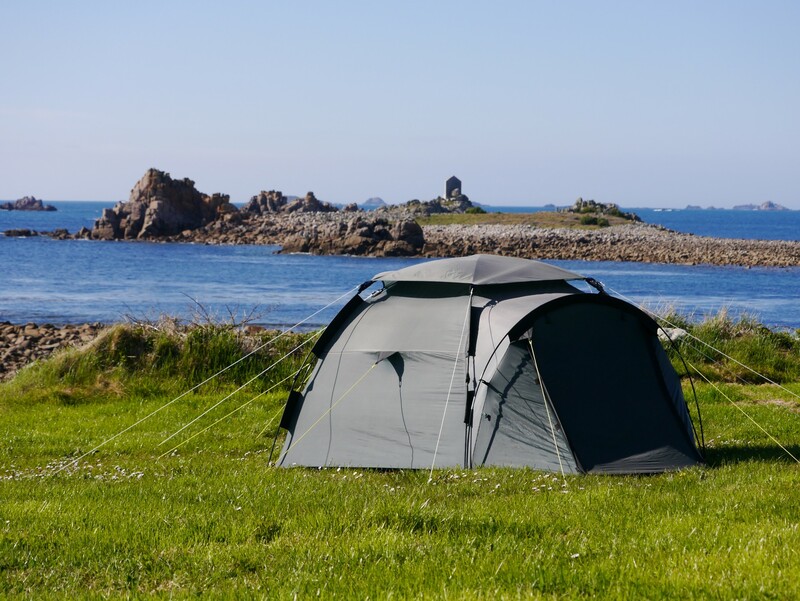 If you are new to camping or the islands, please see our FAQs and travel pages for advice on making the most of your holiday. We welcome school groups, scout groups and activity groups such as swimmers, kayakers or diving clubs. Dogs are permitted on the campsite, but during the school summer holidays we have a strict limit of one dog per party. We also have a limit on the number of dogs on the site at any one time, so it is essential to arrange this with us prior to your arrival. We ask that dogs are kept on a lead on the site and around the farm and they cause no nuisance by barking or fouling.